Our close relationships with the largest chipset manufacturers have allowed us to be at the forefront of the Smart Speaker development curve. We also boast a range of accessories for both Amazon Alexa and Google Home products from boost speakers to improve the sound quality to battery bases making them mobile. Focus groups have shown us that people want audio products that complement the décor of their bedroom as well as decluttering their bedside tables. 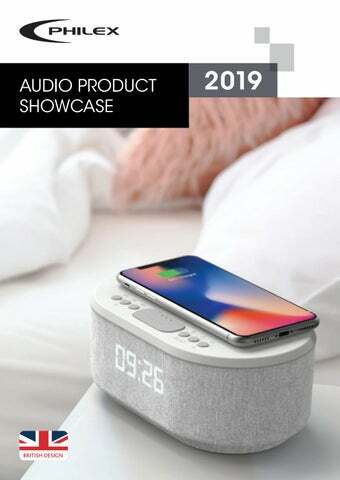 We have designed our products to incorporate a number of devices regularly found on the bedside table with features including smartphone charging, alarms and even night lights. Built-in nightlight provides low level ambient lighting. Taking inspiration from classic cars to modern interior design, all of our audio products have been designed to create a strong impression with the customer. The vinyl revolution has arrived, but to stand out you need something different. Each of the models are distinct to other models on the market, suiting tastes ranging from retro to cutting edge modern design.